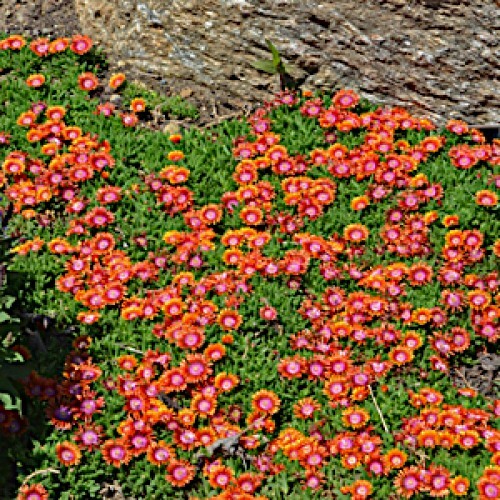 This African native features the most interesting Delosperma blooms we've ever seen. 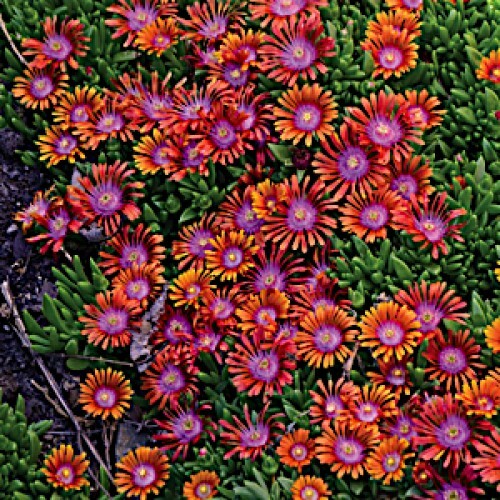 The magenta petals fade to bright orange all around a white eye creating a dramatic three-toned effect. 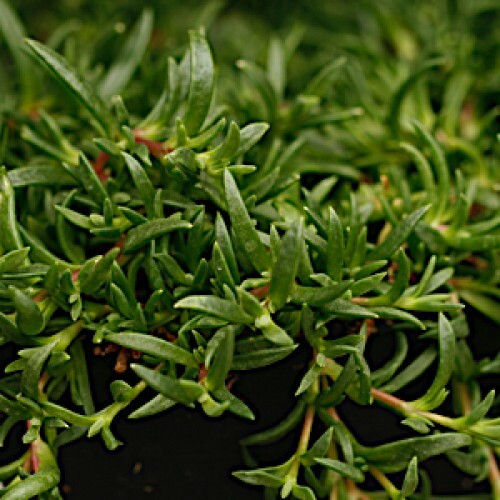 But it does not sacrifice vigor for beauty, proving a strong grower excellent for rock gardens or borders. 'Constant Comment' has large bright rose flowers appear again and again over compact growth. Being b..